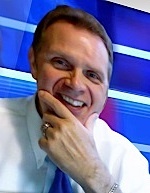 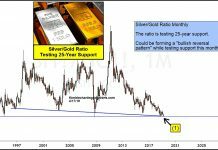 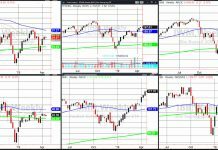 Now we’re going to walk through eight charts – a 10 year and a 1 year for each of the aforementioned stock market indices – looking for clues if this upside move will be sustained into 2015. 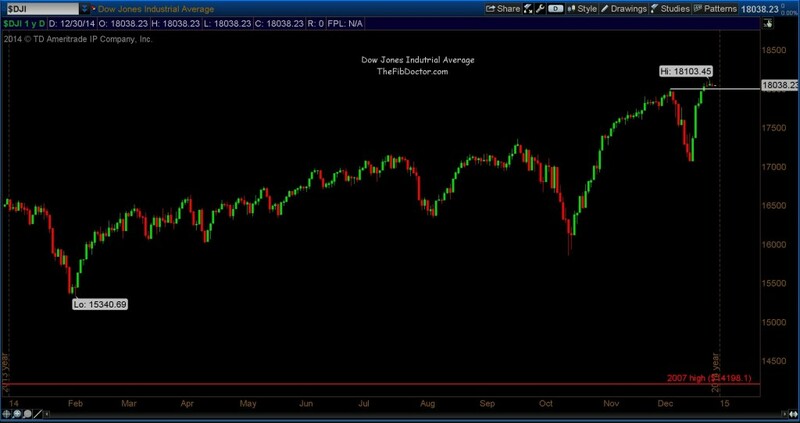 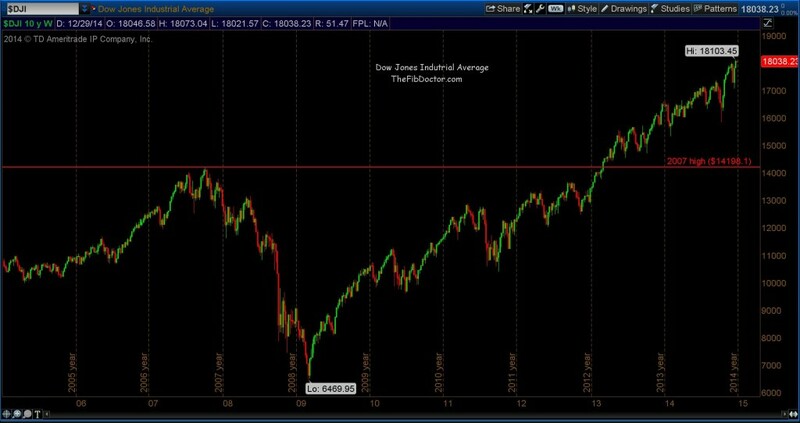 In the 1 Year chart below, you’ll see the Dow is at a very crucial point of either breaking out or being rejected near the 2014 high. 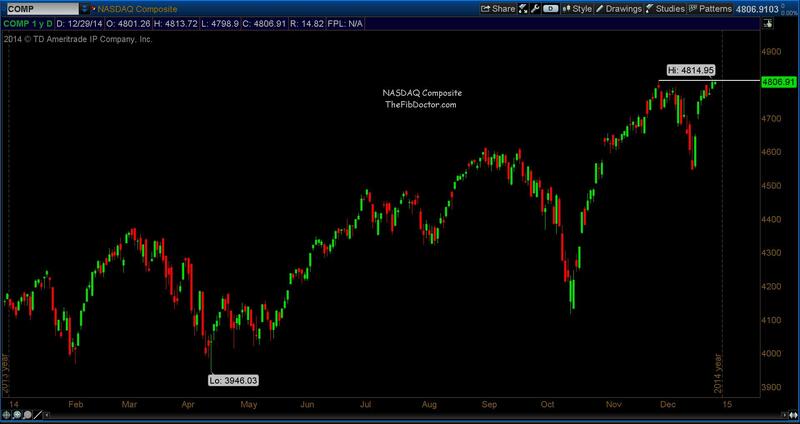 Now let’s turn out attention to the NASDAQ and let the charts do the talking. 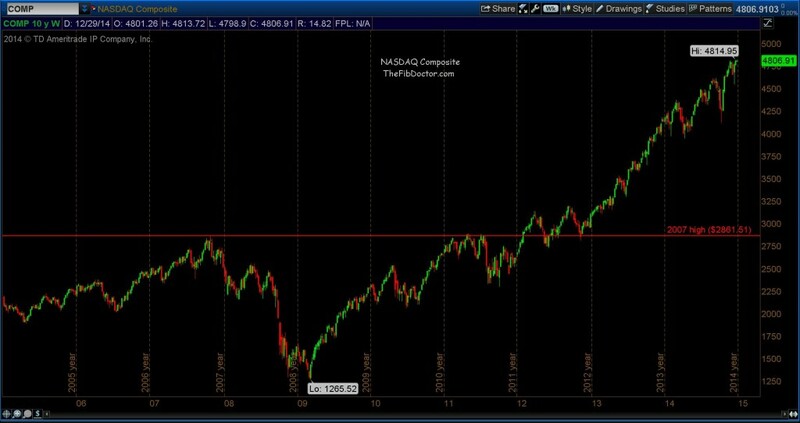 In the 1 year chart below, you’ll see the NASDAQ, like the Dow, is at a very crucial point of either breaking out or being rejected near the 2014 high. Now let’s take a look at the S&P 500 Index. And once again, in the 1 year chart below, like the Dow and NASDAQ, you can see the S&P is at a very crucial point of either breaking out or being rejected near the 2014 high. 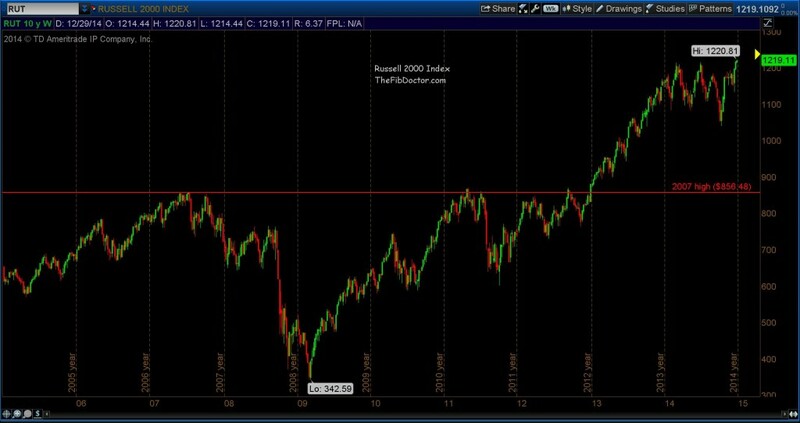 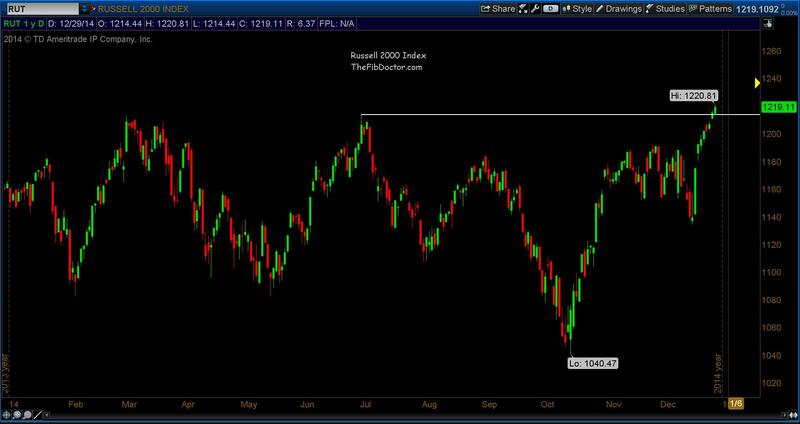 Lastly, let’s look at the small caps index, The Russell 2000. 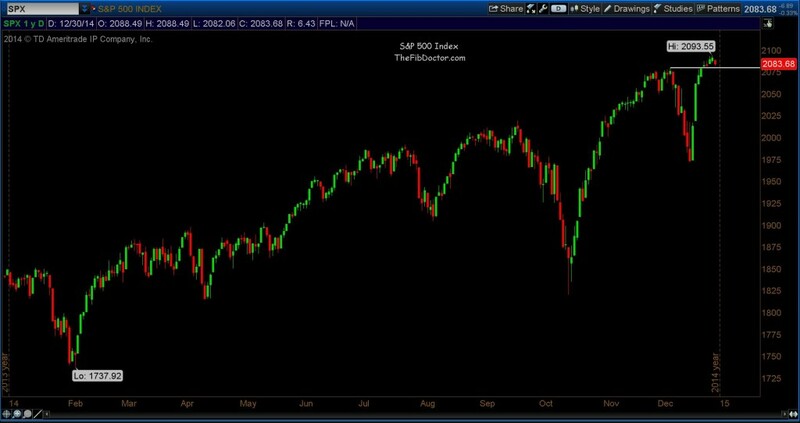 No surprises here either. In the 1 year chart below, you can see the Russell is at a very crucial point of either breaking out or being rejected near the 2014 high. 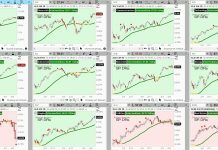 I wouldn’t be overly concerned with the price action of any of the above major stock market indices the rest of this week but on January 5th, 2015 keep a keen eye on these “make or break” levels as volume returns and the “Santa Clause” period winds down.